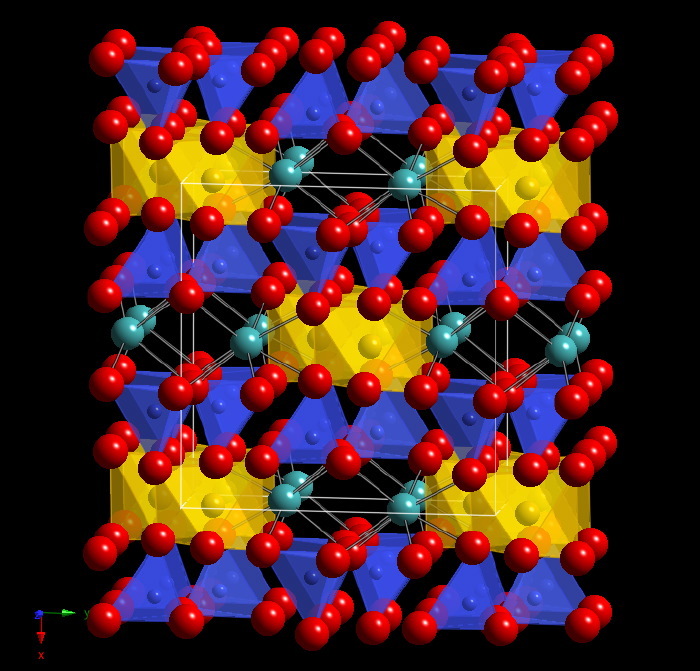 The crystal structure consists of chains of corner-linked SiO4 tetrahedra, bonded to M1 octahedra. The bonding between tetrahedral chains and M1 chains is strong, forming cohesive structural "I-beam" units. Adjacent I-beams are connected via M2 sites: this bonding is relatively weak, giving pyroxenes pronounced cleavage. Crystal structure from Wyckoff: Crystal Structures, Vol. 4. Mg resides in M1 site; Ca in M2 site.